My name is Tracy Lee Fitch. I enjoy continuing my passion for writing through this blog. I have been extremely blessed to have traveled to many places around the world. In addition to writing about my travel experiences, I am so excited that I now can help others experience the magic of travel as a Disney Travel Consultant! I am always learning new things and love to share my experiences with others. I have lived in Georgia my entire life. I grew up in a town called Newnan, Georgia which is part of metro Atlanta. I had the privilege to live in beautiful Savannah, Georgia for a year, but since have moved back to the metro Atlanta area. I now live in Smyrna, Georgia with my husband. I lived in Brazil for two months during the summer between my Junior and Senior years of college. I was mostly in Rio de Janeiro, but also spent a week in Brasilia. I’ve been to England twice. The first time for 3 weeks on my own when I was single and the second for a week with my husband. When I was in high school I went on a school trip to New York City and got lost. I think everyone should get lost in New York City at least once in their life! My mom grew up in up state New York, so I’ve been to Syracuse, Auburn, Rochester, Skaneateles Lake, Lake Ontario and Niagara Falls several times. With my husband we have traveled to Costa Rica, Washington DC, San Francisco, Oregon, Universal Studios Orlando (Wizarding World of Harry Potter!) and many other random places. 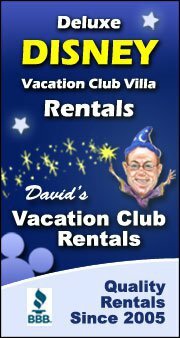 As Disney Vacation Club owners, we now visit Disney 2-3 times a year! It evolves, but the ones that stick are Pink Floyd, Weezer, the Beatles and Connie Francis are probably my favorites. I also love 90’s alternative (I was a teen of the 90’s) and some current artists.